At Creekside Apartments in Fort Worth, TX, we’ve put a lot of consideration into the apartment features and community amenities provided for our residents. We know what’s important to you: convenience, comfort, and the ability to live side by side with your favorite pet. Our Fort Worth apartments make it easy to sit back, relax, and enjoy the view while still providing you with the necessities for daily life. Save yourself the trek and do laundry while you lounge poolside at our onsite laundry facilities. Have any questions, concerns, or compliments? Creekside Apartments has on-site management available so you can be heard. After a long day at work, most people dream of coming home to the comfort of their own homes. The features within your apartment play a large role in your decision making process. 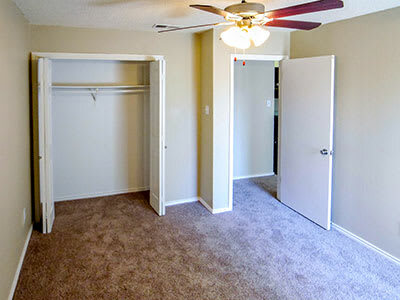 At Creekside Apartments, we’ve included the features you need to relax with ease at home. Select apartments include a fireplace and washer/dryer connections. Choosing a second floor apartment provides you with the space and luxury of vaulted ceilings. 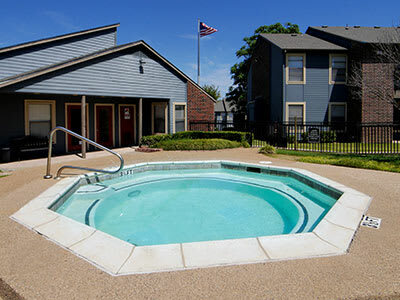 Air conditioning keeps our Fort Worth apartments the perfect climate even in the heat of the summer. Find your personal sanctuary at Creekside Apartments. Have we piqued your interested? Browse the photos of our apartments features and community amenities and contact us to schedule your personal tour.